Make a difference with the gift of education – pay it forward! Do you wish you could do more to give back on a global level and share your success and life-skills? Do you want to transform lives and enjoy new and exciting global experiences? 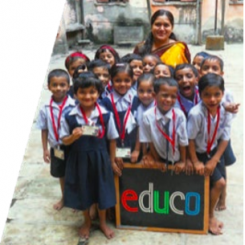 Educo.ie promotes prosperity to children through learning in India. We build better futures for Indian children, their families and communities. We strive to alleviate the female education gender imbalance; which is one of the most important factors in India’s economic development. Find out more about us on our website: www.educo.ie. Educo.ie is a registered charity in Ireland (CHY17147) and in India (Bombay Public Charitable Trust Number E- 25425). 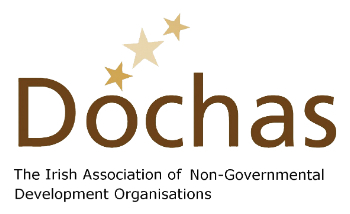 The organisation was founded in the Republic of Ireland in 2006. 100% of donations go to the target project (education). Educo is run by volunteers who oversee several programmes throughout the country, which in total provide education for over 3,000 underprivileged children in multiple communities. The CEO of Educo.ie is Tom Mc Govern. b) Join our on-site giving-back project either as an individual contributor and/or involve your co-workers as part of a corporate team. c) Be part of a bigger picture! Volunteer your time and skills. Volunteering with Educo.ie provides huge personal growth and fulfilment for all involved. Corporate volunteerism aids team building, reduces staff attrition, and promotes skill-set development. Giving back benefits everyone. As an employee, you can join the project and consider involving your employer for match funding, corporate sponsorship and co-operation. Help Educo to keep children in full-time education – work with us to redress the female education gender imbalance which has been proven to be one of the most important factors in India’s economic development. You can help to educate and improve the daily lives of children with Educo.ie. Educo undertakes the training of teachers from the areas local to its schools, thus providing direct investment back into the local community. Computer training is actively promoted – ensuring the most underprivileged children are given the skills necessary for modern employment environments. Volunteer with Educo.ie – the change starts here! Each Volunteer raises a minimum of €2,000 to cover the costs of their own volunteering trip. These costs include; flights (both to and from India and all internal flights), visa, accommodation, food, travel (internal minibus transfers to and from hotel and schools), and Educo t-shirts. The volunteer then fundraises to matches their travel costs with a minimum of €2,000 in fundraising/corporate donations to Educo for school building and teaching costs for the children. Share the post "Volunteer Week"